What is life like for young British Muslims living in the North today? That’s the question being posed by ‘Combustion,’ a new play from writer Asif Khan, who made the BBC’s New Talent Hotlist for 2017, which comes to Queen’s Hall Arts Centre in Hexham on 4th July. Set in Bradford during Ramadan, the play follows Shaz, a local garage mechanic, who is desperately trying to keep his business running smoothly so that he can marry well. But in a city where racists have gathered together to march through the city, buoyed by a grooming scandal, a combustible atmosphere has arisen and Shaz’s sister Samina is determined to break through and make her voice heard. At a time when the Muslim faith is more prominent in British society, but often demonised, this is a pertinent, thorough and engaging examination of a single family in a city with a large Muslim community. Centring on grooming, the play follows the secrets and lies surrounding the scandal and how the actions of a small minority can have terrible consequences on a wider, innocent community. 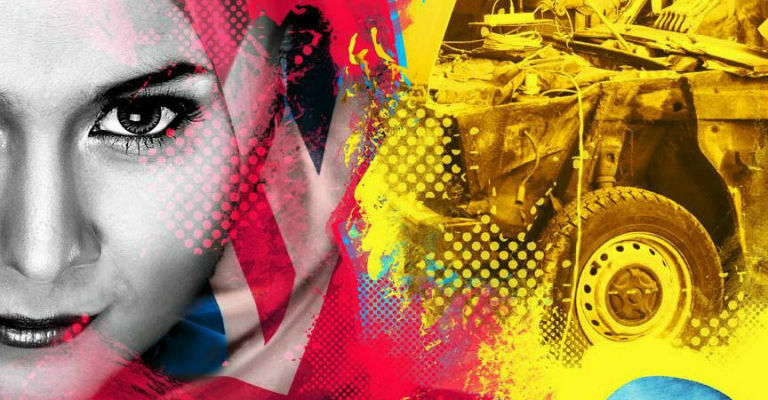 Dealing with contrasting themes – including masculinity and feminism, peace and violence, racism and tradition – ‘Combustion’ is set to offer a compelling insight into the challenges of being young, Muslim and British. For more information on ‘Combustion’ and other events at Queen’s Hall Arts in Hexham, visit their website.